Pear, apricot, peach and other blossoms have bloomed in various parts of China, unfolding the spring season in full. 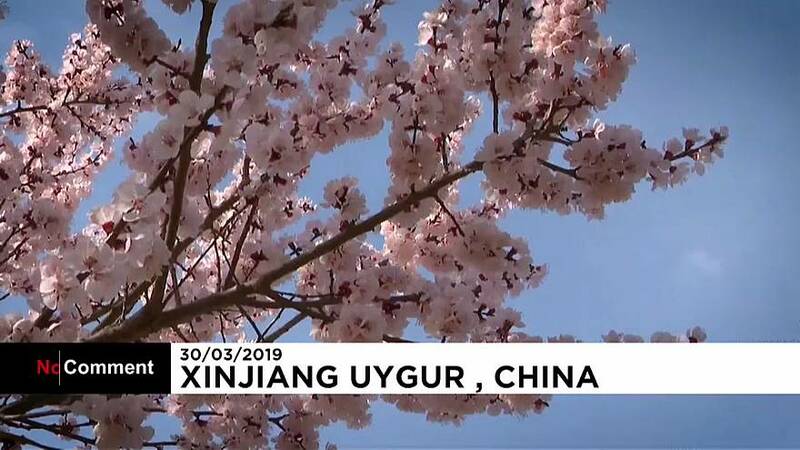 At the foot of Mount Tianshan in the northwestern Xinjiang region, white saffron flowers have come to blossom despite the lingering chill in spring. The snowy petals protruding from melting ice form a picturesque view unique to the region. In southwest China's Yunnan Province, peach blossoms are brightening up the villages near Baoshan City. The pink flowers covering nearly 200 hectares are expected to stay in full bloom for as long as a month.